James Ford of the Madison School District in Madison, NY, wrote to announce two launchings by their high school technology class, an 8' pram and a 16' canoe. 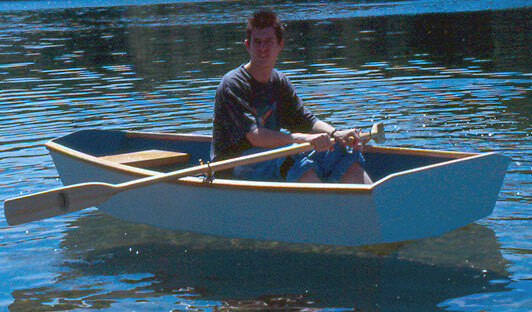 Clark Craft of Tonawanda, NY, designed the pram, while the canoe is a John Scalzo design. The pram was constructed of marine plywood with 3M 5200 below the waterline. Cedar-strip construction covered with epoxy was used for the canoe. For more information about the boatbuilding program at Madison Central School contact Mr. John Parish, Madison Central School, Rte. 20, Madison, NY 13402.